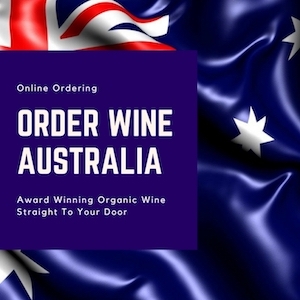 This week we invited back Lauren Walsh aka The Swirling Dervish to write some more for us about the brilliant combination of food and Cabernet Franc wine. 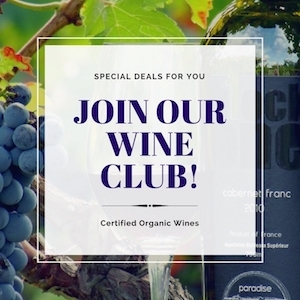 We will separately publish Lauren’s recipes so you have more options in our #Food4CabFranc Blog post category to look at and select for your next meal. Let’s hand it over to Lauren and say thank you. Cheers again to CabFranc! 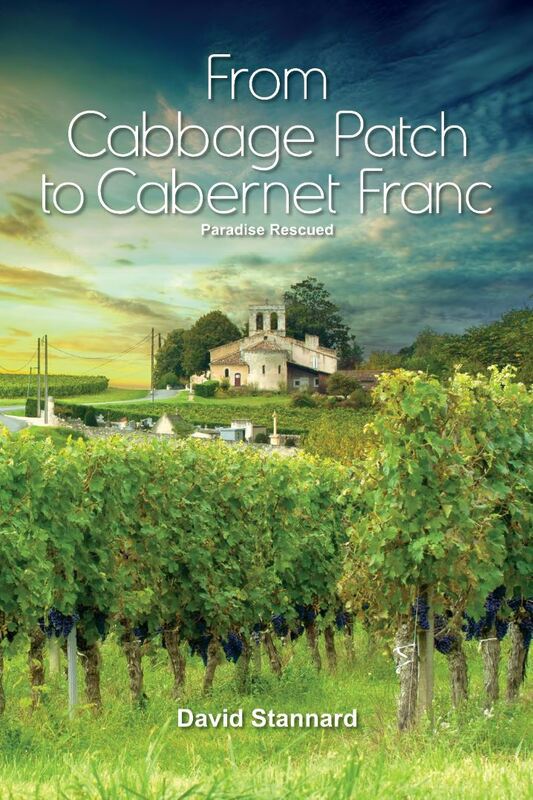 My friend David Stannard of Paradise Rescued in Bordeaux loves to imagine the heavenly pairings that are possible with his favorite wine – Cabernet Franc. In fact, that’s how we became acquainted. I caught on to a Twitter conversation he was having with Lori Hoyt-Budd, another Cab Franc fan who just happens to make a very nice one in Paso Robles (Dracaena Wines.) 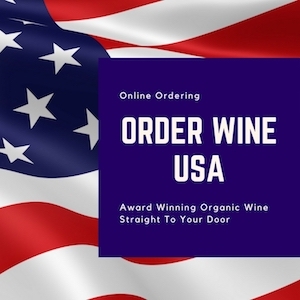 We chatted about how relatively unappreciated the grape is, due mostly to the celebrity status of its vineyard mates, Cabernet Sauvignon and Merlot. We also fervently agreed that Cab Franc needed more champions! David has made his contribution. 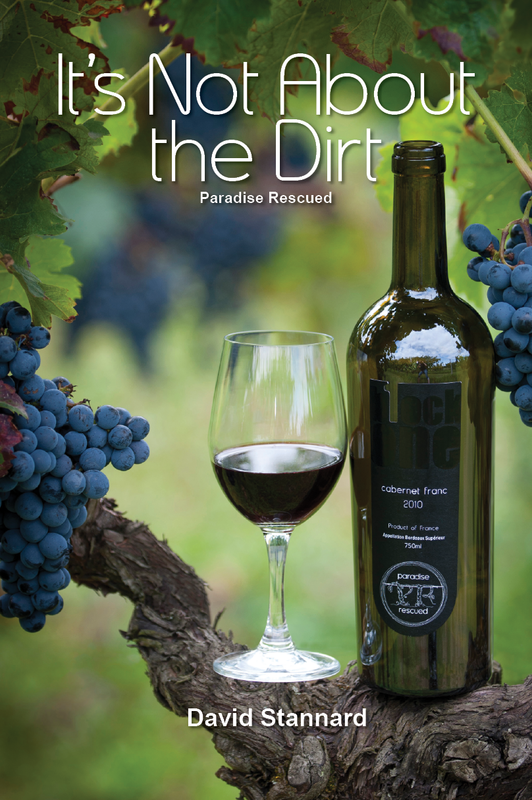 He and his family rescued a small vineyard in Cardan, Bordeaux from the perils of residential development, rehabilitating the soil and resuscitating the vines. And Lori has certainly done her part! 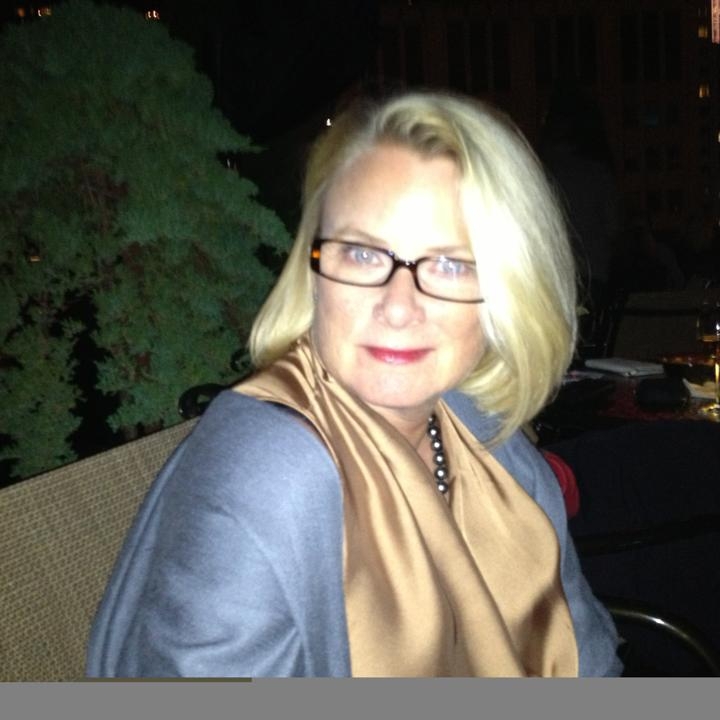 She is the one-person PR team behind Cab Franc Day, a world-wide celebration of the grape and all the beautiful wines that come from it. As for me, my ambitions are more modest. I seek to drink Cab Franc whenever I can, create memorable menu pairings to accompany it, and write about the experience on my blog. Last year David asked if I would write a guest post for the Paradise Rescued blog. 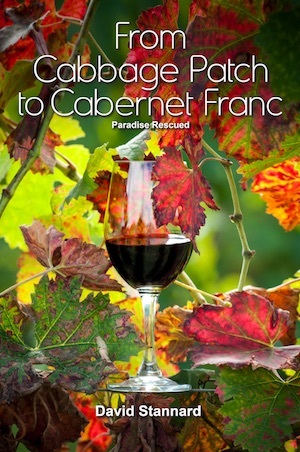 It would feature several food and Cab Franc combinations and include recipes. It was a fun and delicious project! Naturally when he asked me to revisit the topic in another guest blog post, I was thrilled to accept. So, without further ado, here is Food for Cab Franc, Part Two. I’ve come up with three meals for three different occasions, all which pair splendidly with my favorite Bordeaux grape. There is a super-simple weeknight dinner that won’t disappoint, a special date night menu, and an easy but delicious solution for those nights when you’re cooking for one. Home alone? 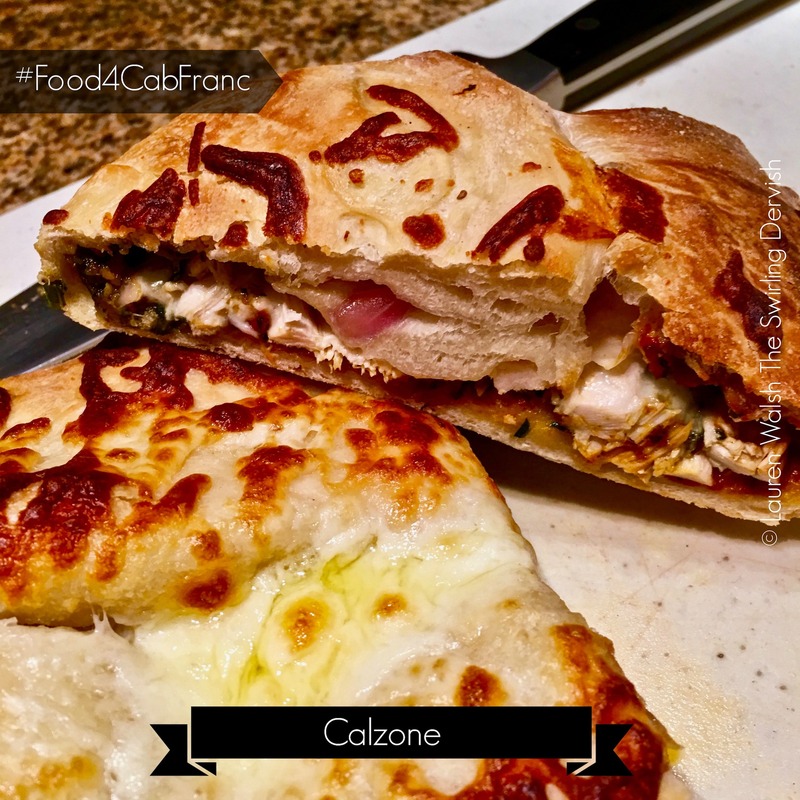 No need to order take-out; make this scrumptious calzone instead. If you’re pressed for time, buy refrigerated pizza dough from your local grocery store and put leftovers to good use in the filling. Here in Florida Publix sells fresh dough in the bakery department. Look for it in the refrigerated case, next to the prepared cakes and pies. Of course, if you’re up for the challenge, you can make your own. As for what goes inside, you’re limited only by your imagination – or whatever’s in your fridge! For my Cab Franc-friendly version, I’ve included caramelized red onion, yellow bell pepper, leftover roast chicken, and cheese – in this case, provolone and parmesan. And there’s a little fresh oregano thrown in for zesty flavor. Other variations that work could include pork, beef, or chicken sausage (my favorite) and a variety of vegetables and fresh herbs. Peppers and herbs highlight similar flavors in the wine, making them tasty partners with Cab Franc. For a good, all-purpose calzone recipe that you can adapt any number of ways, start with this one from the New York Times. It’s easy on both the effort and time required, and always tastes good! My husband and I both work from home and our days often extend past 7:00 pm. As a result, I’ve had to develop a repertoire of quick weeknight meals that are also delicious and healthy. The template relies on lean meat or fish paired with a vegetable or salad, but the iterations are endless. 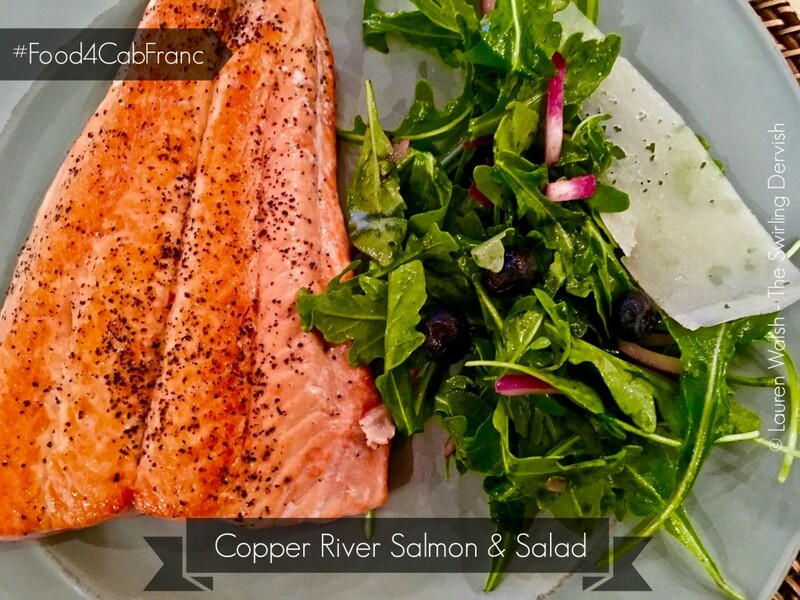 We recently enjoyed a filet of Copper River Salmon alongside an arugula salad topped with fresh blueberries and marinated red onion. The salmon was such a brilliant match with the Cab Franc that I will instinctively reach for a bottle the next time I make it. While Copper River Salmon season is frustratingly short, you could easily use sock-eye or another type of salmon instead. If it’s fatty and flavorful, you can bet it will work with the wine! To dress the salad, you can use regular olive oil and vinegar, or even a prepared vinaigrette if you like. I love the products from O Olive Oil Company in California, particularly their organic Blood Orange Oil. And I’ve just discovered the Blood Orange Vinegar from Napa Valley Vinegar Company. Together they rock the salad! Why does this pairing work? Cab Franc has medium tannins with higher acidity, allowing it to pair with a greater range of dishes and ingredients. It stands up to the fatty salmon without overwhelming it. One caveat: I’d search for a wine with zero-to-moderate oak influence rather than one aged in new American oak. You want to taste the food, after all! Regarding the salad, there are two nice complements: Blueberries coax lovely fruit flavors from the wine, enhancing a different aspect of the pairing. And the arugula highlights the herbal, green notes. It all works really well! A note on the salmon preparation: it might seem strange to cook the fish skin-side down. I thought so, too, until I tried it Joel Robuchon’s way! His recipe for Saumon Poêlé au Chou featured in the book Simply French has forever changed the way I cook fish. Try it for yourself. Score the salmon skin in a criss-cross pattern using a sharp knife. Season both sides of the salmon with salt and pepper. You can use other spices, just don’t overdo it. Heat a little olive oil in a non-stick pan over medium-high heat until sizzling. Add salmon, skin-side down. Cook without turning until the skin is very crisp, about two minutes. Turn salmon over (carefully!) and cook 30 seconds more. Remove from heat and cover. Fish will continue to cook while it rests. Assemble the salad on a platter. Add arugula to the onion and blueberries and top with olive oil. Toss all together, adding more oil/vinegar if necessary. Add diced ovolina on top. Place salmon over the salad and sprinkle a few drops of blood orange vinegar over top. This is one of my favorite meals to make, and it’s relatively simple to prepare. It comes from Food and Wine’s September 2008 issue devoted to Our 30 Best Fast Recipes Ever. Truth be told, several recipes from that issue are in constant rotation in my house! I love veal chops but reserve them for special occasions or when we want to treat ourselves to a beautiful meal cooked at home. 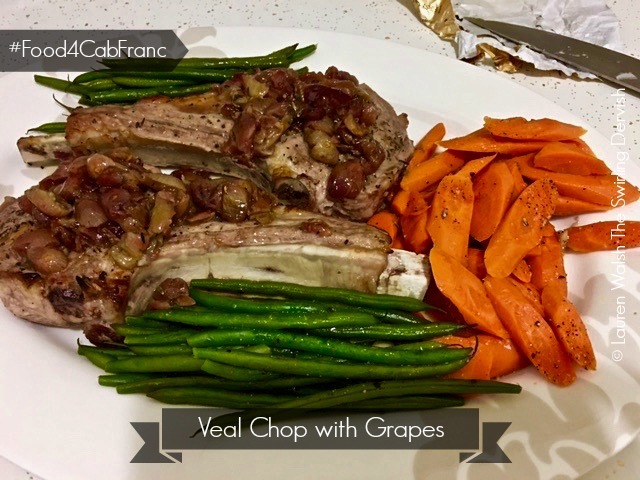 Roasted Veal Chops with Grapes delivers on all counts! So there you have it: a few of my favorite meals for pairing with Cabernet Franc. I hope you’ve been inspired to get into the kitchen and whip up something delicious for yourself. And remember – while Cab Franc is a brilliant partner with food, it’s also highly enjoyable on its own. I’ll drink to that! Thank you Lauren. For more wonderful blogs, amazing wine stories and gorgeous recipes visit Lauren Walsh at The Swirling Dervish.